When Copiah-Lincoln Community College (Co-Lin) decided to rebuild two chemistry labs from the ground up, they turned to Sheldon Labs to make the transformation they imagined a functional reality. 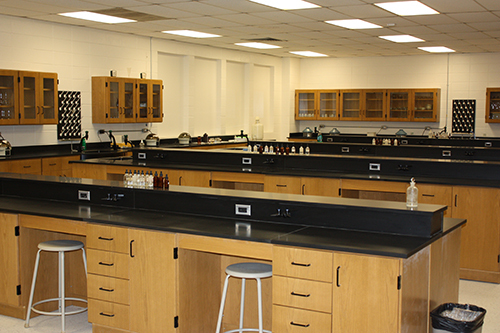 The organic and inorganic chemistry labs at Co-Lin were housed in a building originally constructed in the 1960s. The planned renovation would see the third-floor labs stripped to the studs. Everything from the plumbing to the flooring to the furniture would be replaced, with the ultimate goal of enhancing student safety and creating more efficient, modern labs. Key to developing the ideal plan for Co-Lin was the opportunity for members of the community college’s science faculty to tour other labs designed and equipped by Sheldon. 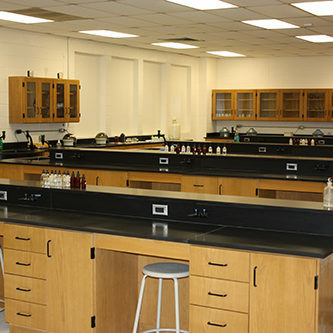 Co-Lin representatives were able to incorporate the features they most admired in other Sheldon clients’ labs into their own plan, tweaking those features and equipment to create a custom environment designed specifically for the 2,000 students on Co-Lin’s Wesson, Mississippi, campus. Sheldon’s outstanding customer service didn’t end when the lab design was complete. Highlights of the renovation include expanded storage space and modern ventilation hoods. A pass-through area between the two labs was converted into an efficient storage space and prep area, and also featured a ventilation hood, making wise use of a previously wasted space.